Decades of research demonstrates clearly that young children learn best through meaningful play, yet in today’s educational culture of high pressure academics, play is disappearing from many early childhood classrooms. 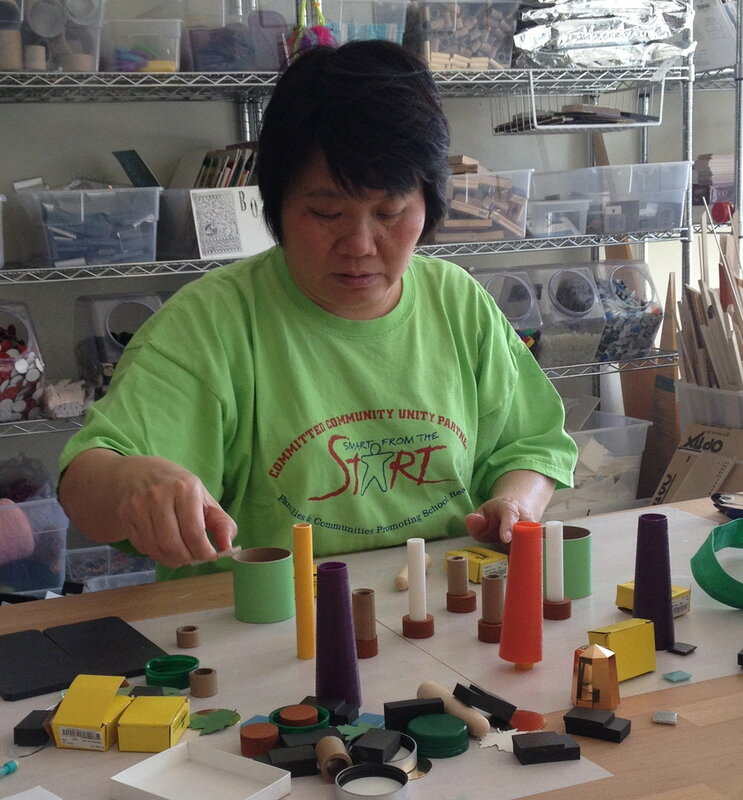 Here at the Beautiful Stuff Project, our collaborative work is guided by a shared vision that everyone, including the youngest child, has perspectives & ideas that can be revealed through exploratory experiences with open ended materials. It is our belief that incorporating such materials into a child’s learning environment encourages them to practice their innate ability to be natural researchers & exercise their free-spirited imagination. As educators, we know that children learn best through play, but we struggle with how to have time for it in today’s early childhood classrooms. The fast-paced environment, academic demands & constant assessments leave little room for much else. At TBSP, we created the Treasure Box Curriculum, a model that’s efficient, easy to use & low cost, & ensures that play is on the classroom schedule. Contact Marina Seevak to bring the curriculum to your school. Trained artists from The Beautiful Stuff Project are available Wednesday afternoons (for kids) & Thursday evenings (for adults) to teach Art Trading Card workshops on-site at our storefront. Our curriculum introduces kids to the art of Artist Trading Cards, a powerful tool for building self-esteem, pro-social skills & having fun. We believe in them because we know that when kids are engaged in something meaningful & exciting, they are their most available as a learner & they feel proud of their work. The Beautiful Stuff Project offers an exciting menu of Professional Development opportunities including our popular introduction to our Treasure Box Curriculum as well as more specific topics. We also love to collaborate and create a session just right for your school or program. — A teacher who has figured out how to include TBSP in her classroom!